Microsoft's Windows Live Essentials 2011, is ready for prime time. Microsoft announced Thursday it's consumer focused suite of free applications, has moved from testing mode (beta) to the final release. The productivity suite is Microsoft's flagship bundle of Web-based productivity apps for managing and sharing images online, editing video, and sharing documents and files between PCs. In addition, the company announced that Live Essentials will be bundled with Dell Computers sold during the holiday season. "Windows Live Essentials 2011 was designed and built to connect your PC to the services you use every day," Windows Live Engineering Vice President Chris Jones wrote today at the Inside Windows Live blog. 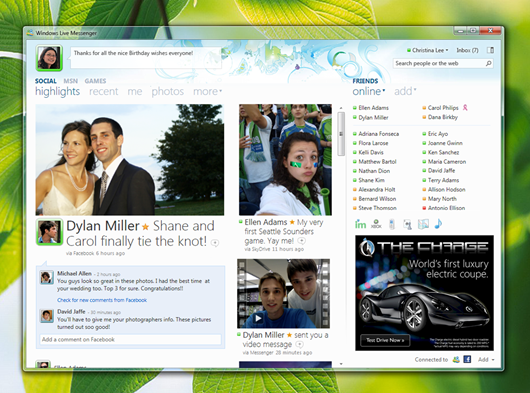 Windows Live Photo Gallery - share photos with your friends on SkyDrive, Flickr, SmugMug, and Facebook. Windows Live Writer - update your blog on Wordpress.com, Blogger, and TypePad. Windows Live Movie Maker - edit videos and publish them to YouTube. Windows Live Messenger - allows you to connect with Facebook, LinkedIn, and MySpace. Windows Live Mesh - allows you to sync your files and folders across your PCs and connect back to your PC from virtually anywhere. Windows Live Family Safety - manage permissions on your PC to keep kids safe. 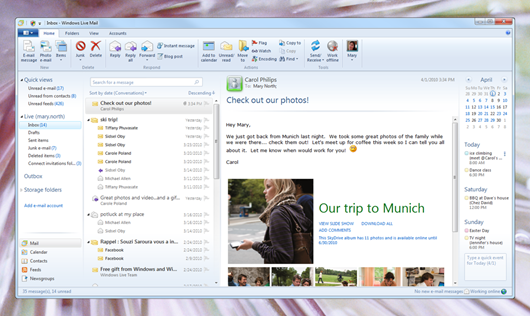 Windows Live Mail - manage e-mail from Hotmail, Gmail, and Yahoo. One of the interesting characteristics of Windows Live Essentials 2011 is that this suite is surprisingly open in the way it works with and connects to third-party services such as Flickr and YouTube. Typically Microsoft has chosen to give the cold shoulder to so-called "frienemies" and keep Microsoft customers using Microsoft services. This update to the Essentials suite expands its reach beyond the Microsoft universe. In addition to its outward looking orientation, the suite's apps have some interesting new features. For instance, both the video editing and photo programs are hardware accelerated for better performance than the typical web-based app. Photo Gallery also has a face recognition feature that allows it to combine the best faces in an assortment of group photos and create an ersatz group photo with the results. If you're a Windows XP user, though, you won't be able to take advantage of the new suite of Live apps. They're for Vista and Win 7 users only.